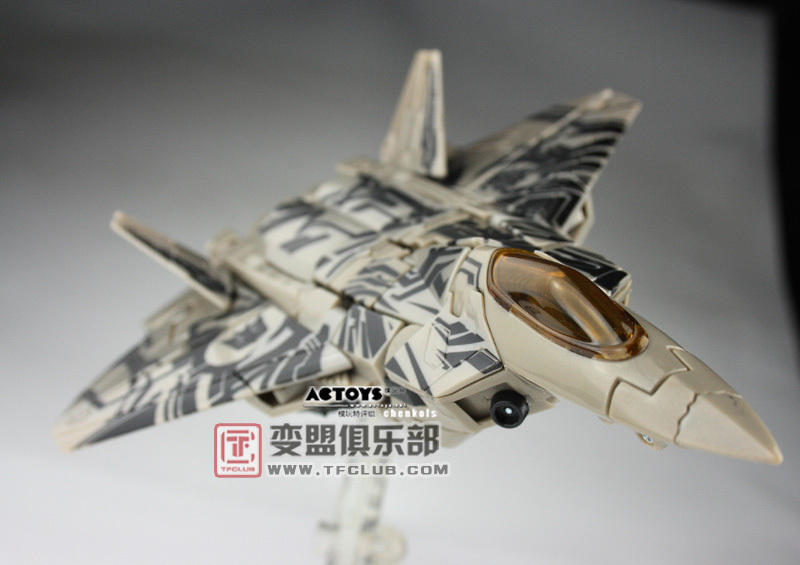 Discussion in 'Transformers News and Rumors' started by tfctoys, Mar 14, 2009. I think my brain is going to explode while trying to look over all of these for paint defects. Cool pics. 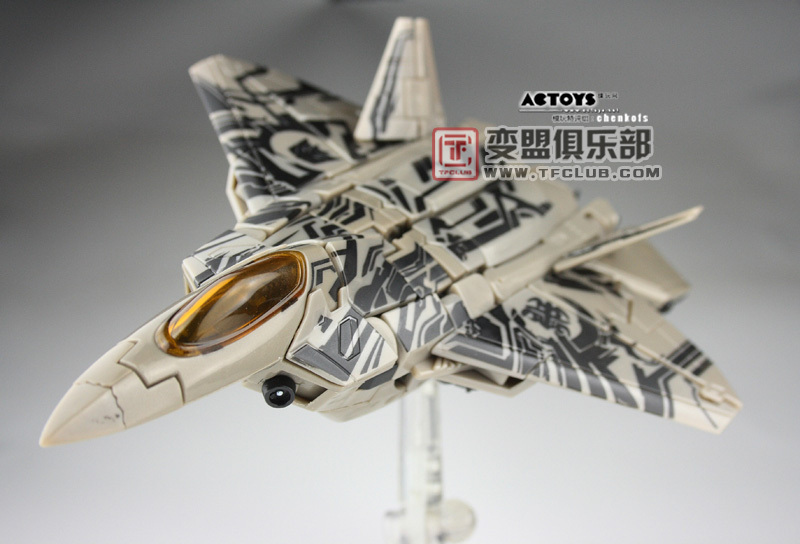 I'm definitely looking forward to Starscream. Though one thing does bother me. What is the point of giving him light piping, if they then just paint the eyes red. 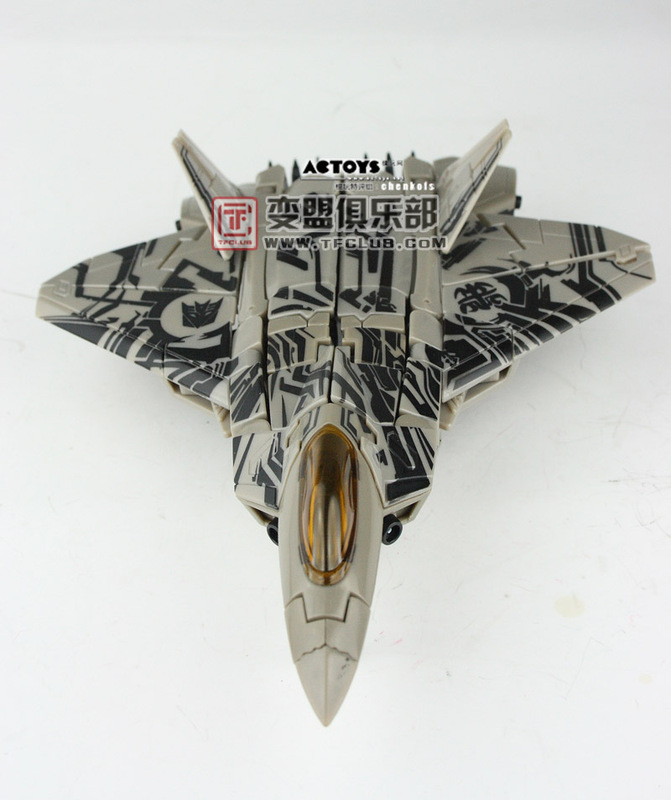 Could be useful for the future repaints, but it just doesn't make sense to me. 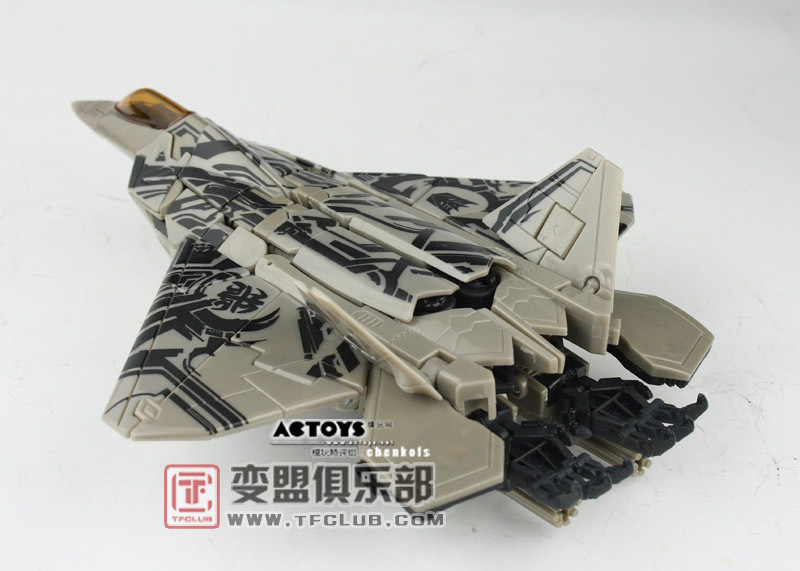 Hopefully this mold gets repainted into Skywarp at some point. Maybe for the third movie's toy line. 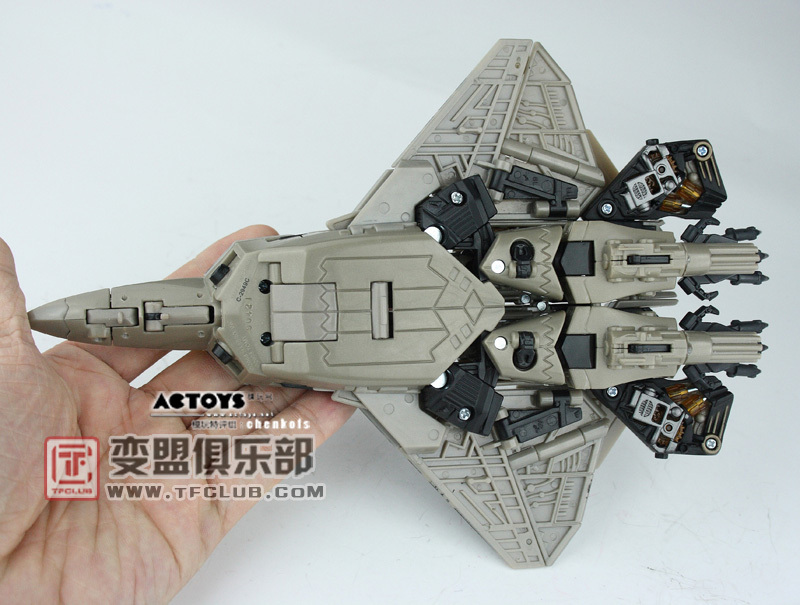 Still not fully sure what I'm going to do with my current Starscream. The dangling hands in jet mode are the only thing that kill this mold for me. It hurts even more that they were originally designed to fold in. Still, miles ahead of movie 1 Screamer. Yes! His feet can angle backwards! That's the thing that stood out to me most too! 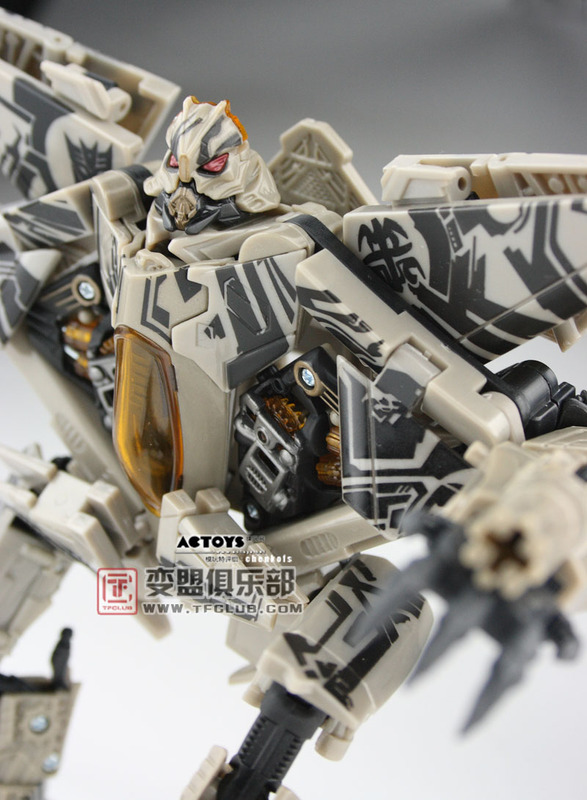 Can't wait to get this mold. I like it but the only thing that bothers me is the tiny parakeet feet. This figure is REALLY well done. A need to buy. Still, miles ahead of movie 1 Screamer. Is it just me or is Screamer's still kinda fat? 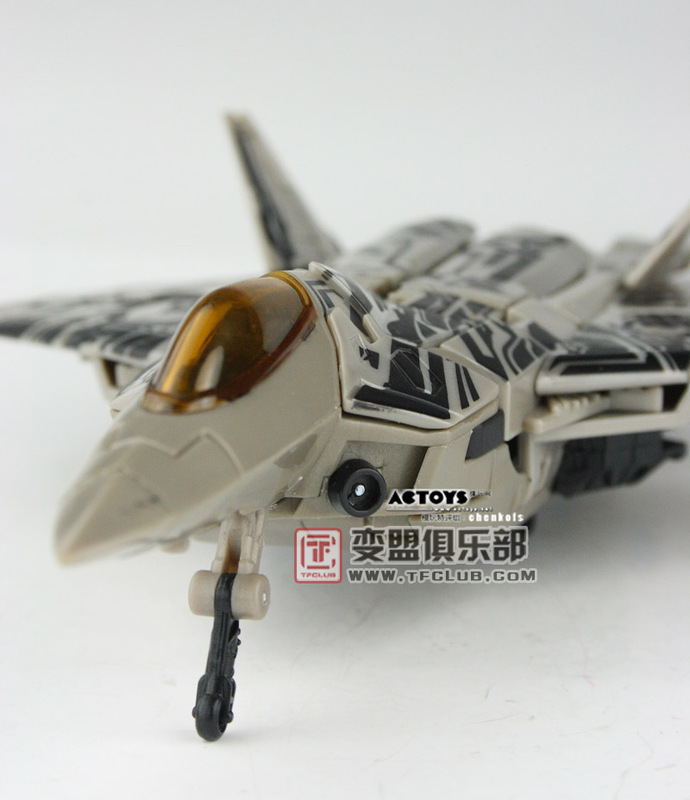 I thought the paintwork on "Premium" Screamer's perfect but it seems that the Makers had backtracked instead of moving forward with the colors. Also, what's with the "lines" on him now? I must have him. He will be mine. 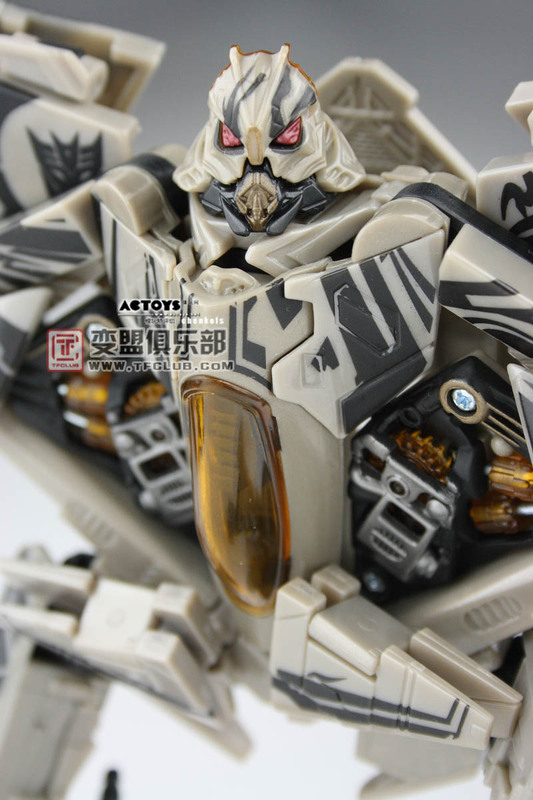 I love the new mold and colouration. He is shockingly, amazingly beautiful. Long may he reign! He looks cool but a pass for me. No money. 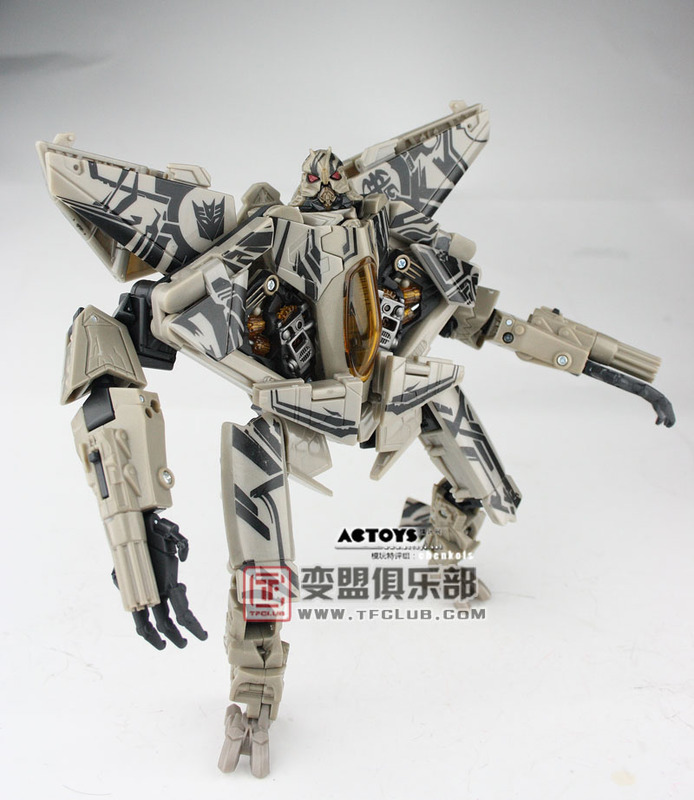 Infinitely better than Movie 1 Starscream. 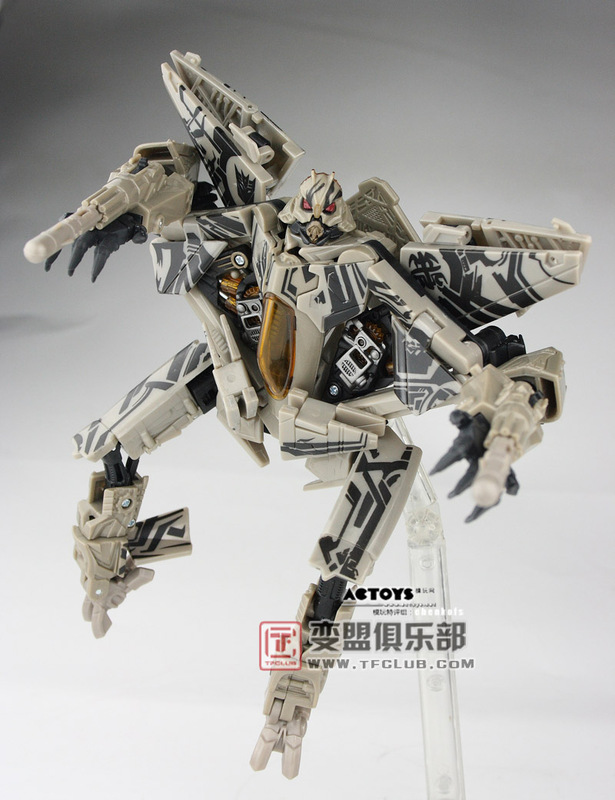 Though I will probably not get him until/unless there is a non-silly-cybertronian-symbols version of him. Anyone know how hard those will be to get off? 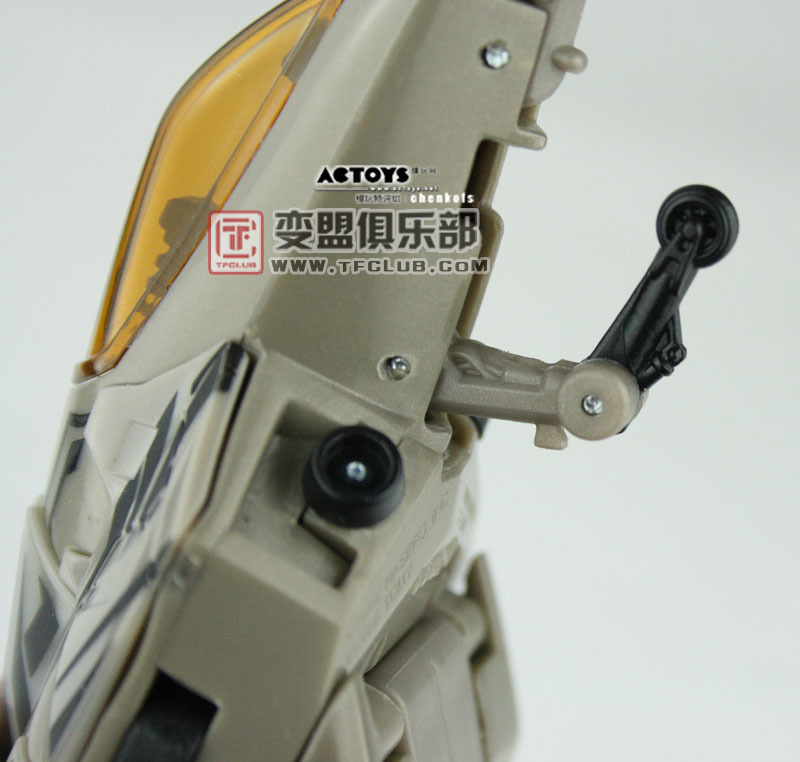 Also glad that his legs are able to bend back similar to movie Screamer. Not sure what you mean by "lines", unless you're talking about his tattoos. I, too, think his coloration is lacking a bit, but this is the basic figure. 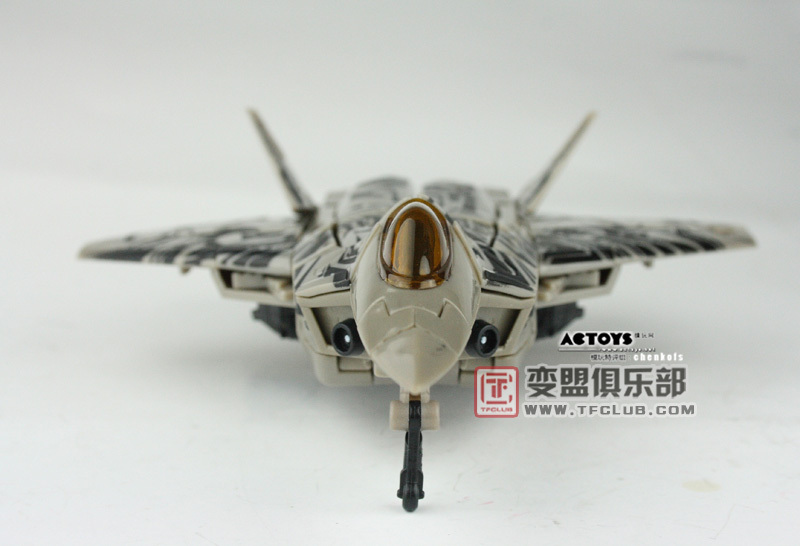 I'm sure there will be repaints down the line, possibly even a premium paintjob like the last mold got. That's why I'm waiting on this one. 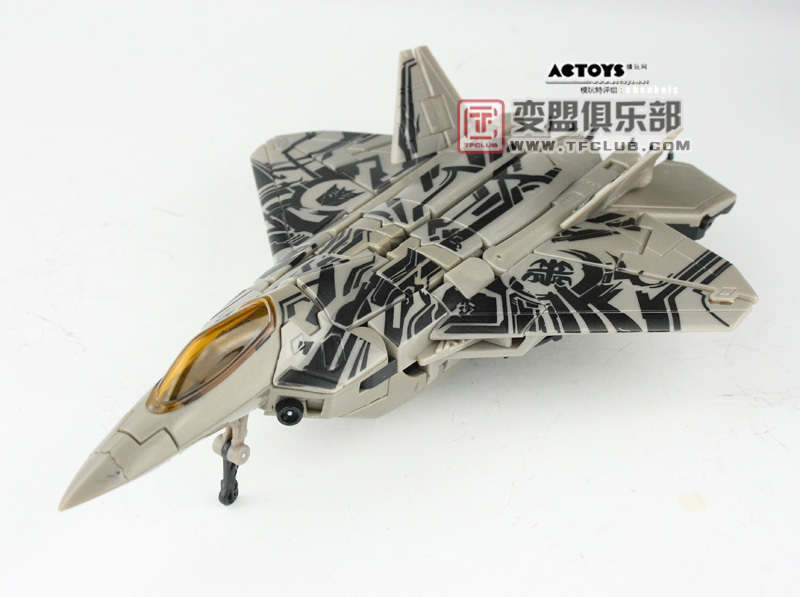 I will say that I think the jet mode is superior to movie 1's, and it's cool that he has actual hands now. 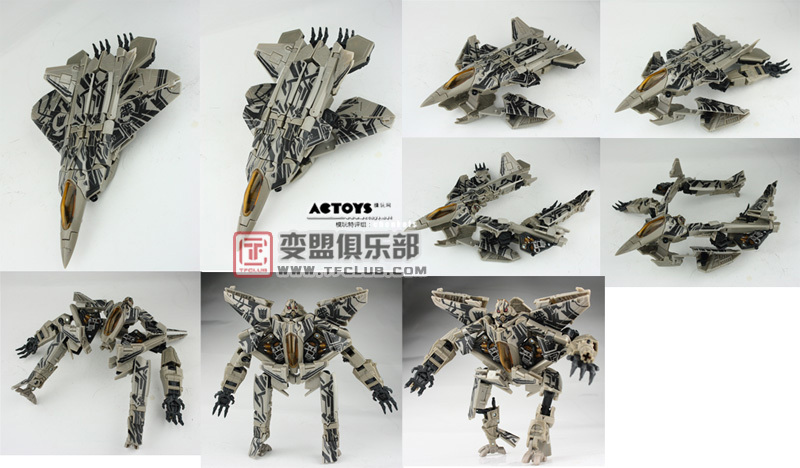 Too bad those hands are exposed in jet mode, though. Real good looking figure. His feet look a little too small though. I have only one thing about the toy that I have mentioned before: His hands look like those of a new Cylon Centurion's. That said, I love him. I want his babies. And he will be mine. Victory at all costs! 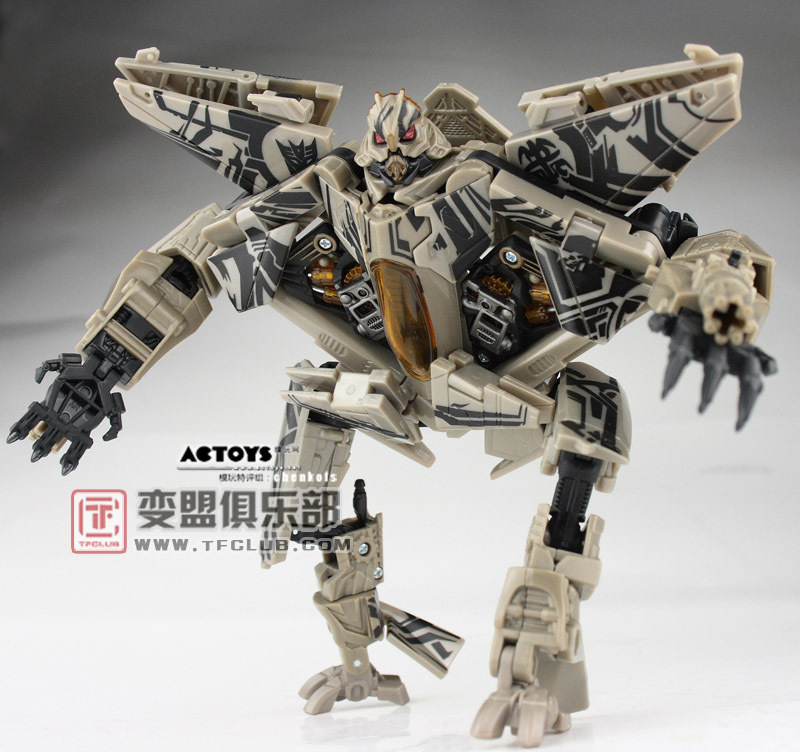 hey looks 1000000000000000000 better then the 1st movie becuase every time i put the first starscream to roll while in jet he shot his missils and i lost them but this looks pretty cool cant wait untill i have him fighting in my chinese city i mad for my transformers. just how the hell do you "tatoo" a metal plated monster? did he get drunk with the rest of the seekers after megatron got waxed stunble into a paint shop and say " yaeh man couler me bad!!!!" good mold, lame paint job. According to the comic he carved the symbols into himself using his claws.